It's been a while since I've done a band profile, so I thought it was time to write on about one of my favorite bands of the late 1960s/early 1970s: Traffic. Known mainly as the band that brought Steve Winwood to prominence, Traffic were one of the best and most influential bands to emerge in the latter half of the 1960s. Blending British psychedelic rock with folk, jazz, R&B, and blues music, the first half of their career from 1967-1969 saw them release three excellent albums and several hit singles with their original line-up. After a short break-up, they regrouped in 1970 to embark on the second phase of their career which saw them evolve into a jazzier, free-form style, going through several line-up changes until a final split in 1974. What they left behind was a legacy of great music that influenced many of their contemporaries, as well as future musicians. After one hugely successful album and US tour, Blind Faith split in late 1969. Winwood decided to write and record a solo album and asked Capaldi and Wood to contribute. One thing led to another and it instead ended up becoming the next album from a reunited Traffic. John Barleycorn Must Die was released in 1970 and was one of Traffic's biggest and most acclaimed albums, with many people to this day claiming it as their best. The album saw Winwood handling all of the guitars, bass, keyboards, and vocals while Capaldi would drum on a Traffic album for the final time until 1974. The opening salvo of "Glad/Freedom Rider" became a radio mainstay and one of their most well-known songs, and the rest of the album didn't contain any weak tracks. "Empty Pages" and the title track are stunning while the remaining songs are excellent and cover a variety of styles. Shortly after the album's release, Traffic once more expanded to a four-piece configuration by bringing in former Family and Blind Faith bassist Ric Grech. Later on in 1971, the band further expanded by adding drummer Jim Gordon (formerly of Derek and the Dominos), percussionist Rebop, and Dave Mason (for a third and final stint in the band). This line-up played six concerts in the UK which resulted in the live album Welcome to the Canteen. While this album divides many Traffic fans, in my opinion it's a solid and enjoyable document that showcases some of Mason's strongest solo material and Traffic's more extended jamming. 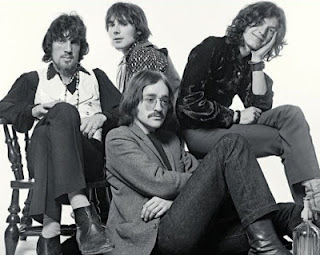 However, Winwood made it very clear to Mason that he was only back in the band for these six shows, after which he left; the remaining line-up then went on to record The Low Spark of High Heeled Boys. Released in late 1971, this album is, depending on who you ask, either Traffic's best or second-best album. The eleven minute title track was (and still is) a regular presence on FM radio, but the tracks bookending the album ("Hidden Treasure," "Many a Mile to Freedom," and "Rainmaker") showcase the best of the band's writing and musical interplay with their perfect blend of guitars, keyboards, and woodwinds. The line-up continued to turn over, however, with Gordon and Grech being dismissed from the band after the tour supporting the album due to their drug habits, while the Muscle Shoals rhythm section of David Hood (bass) and Roger Hawkins (drums) were brought in to replace them. This incarnation of the band toured in 1972 and recorded 1973's Shootout at the Fantasy Factory, an album that has always felt like a sequel of sorts to Low Sparks. Much of this is down to the similar album art, as well as the overall feel of the songs. The writing and performances are a bit more understated (apart from the aggressive title track) and overall the album is a bit overlooked, although "Roll Right Stones," "(Sometimes I Feel So) Uninspired," and "Evening Blue" stand alongside anything else they recorded. It was during this period that Steve Winwood was suffering from complications due to peritonitis, while Chris Wood was sinking deeper into alcoholism and drug addiction. A European tour followed in 1973, for which the band was augmented by Hawkins and Hood's Muscle Shoals bandmate Barry Beckett on keyboards. The resulting document from this tour was the 1973 album On the Road, showcasing material from the previous three studio albums in extended versions. By the end of the tour, Steve's health was poor and Wood's addictions were becoming a liability, so Winwood dismissed the Muscle Shoals guys and brought Rosko Gee in on bass for the final Traffic line-up. This version of the band recorded 1974's When the Eagle Flies, which would prove to be the last album for the band. The songs were more somber and moody, most notably "Dream Gerrard" and "Graveyard People," while "Walking in the Wind" and the title track sounded more upbeat but had fairly bleak lyrics. In the midst of a UK tour in 1974, the band quietly split up. After the 1974 split, the four original members of Traffic embarked on solo careers of varying success. Mason had success throughout the 1970s and continues to be in demand as a session player. Winwood started his solo career in the late 1970s and found megastardom in the 1980s and early 1990s with a series of hit singles and albums. Wood recorded solo albums although his addictions continued unabated, tragically leading to his death from pneumonia in 1983. Capaldi released some successful albums and continued his songwriting with and apart from Winwood. The two even recorded a final "Traffic" album, 1994's Far From Home. Capaldi eventually succumbed to stomach cancer and passed away in 2005. Musically, however, their legacy as Traffic remains intact and influential. In Winwood, the band had one of the most talented singers and instrumentalists of his generation. While he is rightfully highly regarded as a singer, piano/keyboard player, and songwriter, his talents on bass, acoustic guitar, and electric guitar are equally exceptional. His writing partner, Capadli, wrote many great lyrics for their songs and while he abandoned drumming from '71-'73, his talents behind the kit were excellent and augmented their songs. Chris Wood may be the most overlooked of the three core members, but his contributions should absolutely be appreciated for what they were. He was a great saxophone and flute player who always played to the song and functioned almost in the same way as a rhythm guitarist, supporting the song and emerging to the spotlight when it was his turn. The various members who drifted in and out of the band over their career (including founding member Mason) all brought something positive to their sound, but the core three of Winwood, Capaldi, and Wood were what gave Traffic its soul. 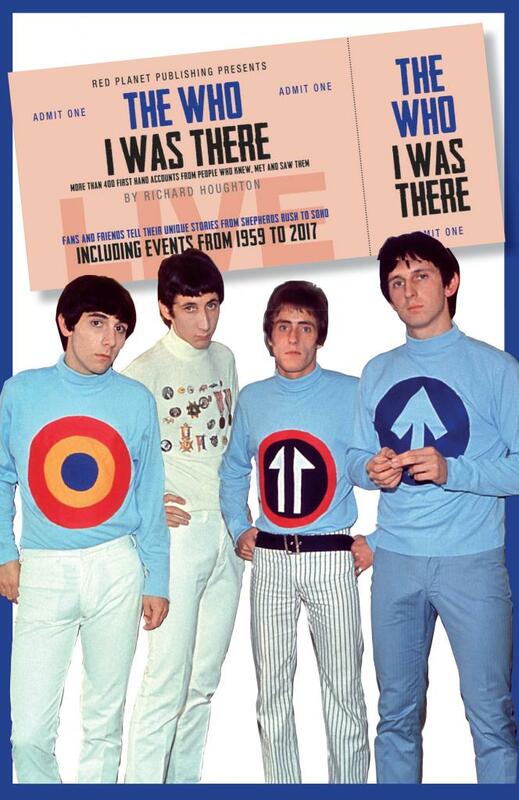 Getting personal now, Traffic were one of those bands that not too many people I grew up with in the 1980s and 1990s knew about, but I sure did. As far back as I can remember, my dad (who had been a Traffic fan since the 1960s) played their records. I grew up hearing songs from Mr. Fantasy, John Barleycorn Must Die, and The Low Spark of High Heeled Boys on a regular basis, as well as a lot of the earlier tracks on the compilation LP Heavy Traffic. I also recall being a bit confused/surprised that the Steve Winwood who was all over the radio and MTV with these slick AOR songs in the 80s was the same long-haired "muso" on all of those Traffic records from the 60s and early 70s. What drew me to them, besides Winwood's soulful and powerful vocals, was the instrumentation. I was used to listening to guitar-driven rock music, so to hear a band where the main driving force was piano/keyboard and where even the guitar-based songs weren't as in your face as other bands...this was something quite interesting to me. I was also really intrigued by the prominence of woodwinds as one of the main instruments in the band, and in a different manner than, say, Jethro Tull. Ultimately, what drew me in beyond all of this were the great songs and the juxtaposition of tight instrumental arrangements coupled with loose groovy improvisation (especially on their live stuff). Simply put, Traffic had a wholly unique and identifiable sound that captivated me the way it had captivated my dad and countless others in the 1960s. The fact that their music is still enjoyed and influential is a testament to their impact. If you haven't ever heard their music, I encourage you to check it out...as you can see, I think it's fantastic and I don't think you'll be disappointed. They continue to be one of my favorite bands of all time and I constantly find new things of interest and enjoyment in their songs, which I don't suspect will ever change. With all of the words that have been written about the Beatles, both collectively and individually, I usually find myself asking if there's really a need for yet another book about them. While there have been many excellent well researched and well written books on them, those are vastly outnumbered by others that are little more than cash-in hack jobs. However, from the minute I heard about Lennonology several years ago, I knew it would be in the former category. For years, Chip Madinger and Mark Easter's book Eight Arms to Hold You has been an indispensable volume in my Beatles library, so when I heard that Chip was working on a new book, it was at the top of my list for books worth checking out. As you'll gather from the following review, the book was more than worth the wait. 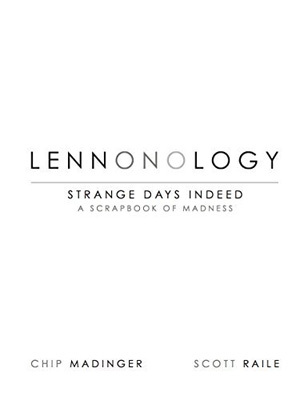 In a similar vein to excellent books like Mark Lewisohn's Complete Beatles Chronicle (which I will be reviewing at a later date), Doug Hinman's All Day and All of the Night, or Glenn Povey's Echoes, Lennonology is a day-by-day diary. However, for this book the authors have focused on John Lennon's life from the moment he met Yoko Ono in late 1966 until his murder in 1980. With their meticulous research, the authors have detailed just about every day in their lives during this fourteen year period. The entries for each day contain not only the big events that were happening in the lives of John and Yoko, but contemporary press accounts, media appearances, record releases, recording sessions, and even documents (notes, letters, memos, etc.) that they wrote, mailed, and published. There are even entries where the authors have determined the dates that John or Yoko wrote postcards, notes, and other scribbles. Through all of these entries, the evolution of John from latter-day Beatle to wannabe avant garde artist, solo musician, and political activist can be traced in real time as it happened. This book took me a long to get through for the simple fact that there is so much information contained within that I read it very carefuly, going through it with a fine-toothed comb so as to not miss anything. At more than 500 pages, Lennonology is a staggering work of reference and information on John and Yoko's life and career. Going through the book, what struck me was the difference in contemporary public and media perception of John and Yoko versus how those events have been portrayed since his death. While the conventional wisdom since 1980 has been that John and Yoko's exploits were hugely influential and covered enthusiastically by a press that waited with bated breath for their every move, the contemporary information presented by the authors shows that after the initial confusion, interest, and ridicule their relationship garnered, by late 1969 most of the press and fans grew weary of their constant need for attention. Furthermore, their somewhat egotistical chronicling of the minutiae of every aspect of their life, whether via record, film, or interview seemed to wear thin fairly quickly. Even John's status as a Beatle couldn't shield him from the press and fellow figures in the music business taking swipes at him (most strikingly DJ John Peel, who rightly sneered at John and Yoko's call for peace and activism while they rode in limos, flew on private jets, and lived in an enormous mansion). Indeed, by the time the Beatles officially split up in 1970, the press (and many fans) were quite tired of John and Yoko's media oversaturation. Lennonology also gives some fascinating insight and context into the end of the Beatles. While much of the information has been known for a long time, here it's presented in chronological order to the exact day. Furthermore, there are a lot of little nuggets of information that were new to me, most surprising that John and Paul were still working on songs together and bouncing ideas off of each other as late as the spring of 1969. In addition to the Allen Klein problem, it's also shocking just how much the lack of effective communication between the four of them was to blame for the disintegration in relations. Even though John stunned the other three by declaring that he was leaving the band in late 1969, the door didn't seem to be completely closed until Paul issued his statement in April 1970. While it surprised George and Ringo, it infuriated John and ensured that any chance at further band discussions were remote, if not impossible. The naivete and silliness of much of John and Yoko's politics is also on full display through contemporary media coverage, especially in their early-to-mid 1970s period. John was well-known for finding a new craze or idea, jumping wholeheartedly into it with all-consuming enthusiasm, and then quickly losing interest and moving on to the next thing. His activism was no exception and as a reader, I felt embarrassed for him...no doubt he would be as well were he still alive to read Lennonology. John's immigration battle to remain in the USA and gain permanent resident status was described in fine detail and sets the record straight on a lot of things regarding the motivations, political and otherwise, behind his nearly six year battle through the court system. As the 1970s progressed, it was interesting to track how John's life settled down after he spiralled out of control during his Lost Weekend of 1973-74. Once his son Sean was born in 1975, he took his hiatus from the music business, finally got his Green Card, and embraced getting older and being a father. However, it was also sad to read of the events in 1980, especially with how fulfilled and happy John seemed to be as he approached 40. Since we all know what happened on December 8th of that year, reading the events leading up to that moment have an almost fatalistic sense of doom that makes it very emotional and difficult to get through. The authors do a nice job of sticking to the facts and letting John and Yoko's words tell the story. The chronicle ends right as John steps out of his limo and onto the sidewalk outside the Dakota that evening, which is as tasteful (yet melancholy) a way to end the book as there could be. The final sections of the book consist of several appendices detailing John and Yoko's discographies as well as a plethora of information such as all of their residences, hotels, and the like during their time together. As an added bonus, there are more than 150 pages of electronic indices available at www.lennonology.com for further research and insight. The long and short of it is that, if you're a serious fan of the Beatles and/or John Lennon, this is an essential and valuable book for studying their life and career together. The attention to detail is exceptional and while it's densely packed with information, it's very readable. In fact, I would recommend a thorough beginning-to-end reading of the book. 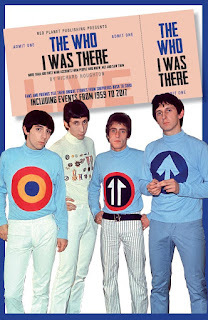 Even though it can also be used as a reference book for looking up specific events and dates, the telling of their story and career predominantly in their own words is really enjoyable. There are many new tidbits of information throughout the book that, when read in their proper context, help certain events make more sense than they ever have. Simply put, this is an excellent book that no serious Lennon fan should be without. The true challenge is now waiting for volume two to be released in order to see what new information the authors have unearthed. Lennonology is an exceptional work on the life and career of one of music's true geniuses and his equally interesting (and misunderstood) partner. 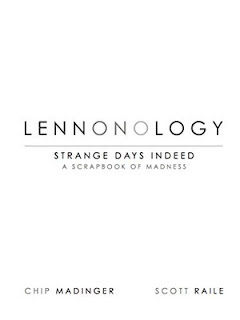 LENNONOLOGY can be purchased at www.lennonology.com. To the casual observer, John Lennon's wife was Yoko Ono. However, those who know more about the Beatles' history and background know that before Yoko, John was married to Cynthia (nee Powell) and in fact had spent a decade of his life with her before cheating with Ono an leaving her. Always one to shy from the limelight of Beatlemania during the 1960s and content to be a housewife raising their young son Julian, Cynthia had arguably the best perspective on John's life during the most famous period of his life. 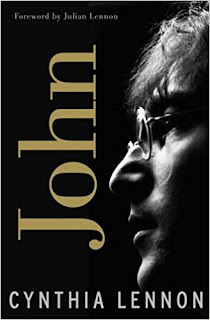 While she had written a book about her first marriage in the late 1970s called A Twist of Lennon, it wasn't until the late 2000s that a more comprehensive and thorough look at her time was published: the current book titled simply John. Even though I read it when it came out, I've given it a fresh re-reading for this review. The book begins with an interesting, heartfelt, and candid introduction from Julian Lennon describing the father who "let me down in so many ways." It's rather heartbreaking to read of Julian's love for his father, while he fully understood from a young age that while his dad sang to the world about love and peace, he gave little-to-none of either to the wife and child he abandoned in 1968. From here, Cynthia begins the book with details about her birth and childhood in Liverpool during WWII. Born in 1939 as the youngest of three children, Cynthia, like John, suffered the unexpected death of a parent while she was a teenager. In her case, it was her father and she handled it, at least from an emotional standpoint, better than John did the death of his mother. It was while a student at art school in Liverpool that she first met John in 1958. After being initially wary of him, they ended up falling in love and even though John's jealousy, insecurity, and aggression meant that their relationship was a bit stormy (including an incident Cynthia recounts where John smacked her in the face, knocking her to the ground), there was genuine love and affection for her on John's part. I'm not going to recount the Beatles' history during this period as it's been written about to death elsewhere and Cynthia does a good job summarizing it in the book as it goes along. What does stand out are the countless anecdotes about John where he is boorish, insensitive, uncaring, and just downright nasty. While she does balance these out with stories of his kindness and generosity (especially with his money, which is well-known), as the Beatles' career progressed and his drug use (which she states was the #1 contributor to the demise of their marriage) increased, these became fewer and further between. She suspected that there was something going on with Yoko from the first time she met her in 1967, but was still stunned when she walked in on John and Yoko in 1968. Amazingly, John went back to Cynthia for a very short time and played it off as a one-off fling until leaving for good and abandoning her and their son. The divorce was nasty although, as she fully admits, Cynthia accepted a ridiculously low settlement offer when she could've gotten so much more. What was surprising was that even in light of this treatment at John's hands, she never stopped loving him and spent the next dozen years up to John's murder wishing for them to be friends again, both for Julian's sake and for hers. Sadly, it never happened. From here, the book details her life bringing up Julian on her own and how his father's abandonment affected him. Some of the stories are heartbreakingly cruel and it's hard not to feel anger at John when reading some of the things he said and did to his young son. Over the next couple of decades, Cynthia had two more failed marriages and another long term relationship that ended before she finally found the right match with her fourth (and final) husband, Noel Charles, in 2002. To her credit, she's very self-aware and reflective throughout the book, realizing that was much too accommodating and deferential to John, and not assertive enough in standing up to him during their marriage. She also admits to rushing into her post-John relationships despite having reservations about all three men. Her stories of Yoko's manipulations and harsh treatment of Julian, especially after John's death, are equally upsetting. Although Cynthia never comes across as being mean-spirited or out to tell salacious tales, it's hard not to be disgusted with the way John and (especially) Yoko treated them. Still, I don't doubt as to the veracity of the stories as not only have they been corroborated elsewhere, but none of them are anything other than entirely believable and in keeping with John and Yoko's behavior. Likewise, her candidness when discussing John's Aunt Mimi is refreshing. Her portrait of Mimi as emotionally cold, distant, and jealous of anyone else who got close to John, as well as Mimi being incredibly class conscious and snobby jibes with much of what's been written about her elsewhere. This is despite Mimi's attempts to soften her own image in later years with the numerous interviews she gave. I realize that we all have preconceived biases when we read something and that I'm perhaps tipping my hand as to how mine lean, but I didn't find anything in this book that ran against what I already thought about the main players in John's life. The biggest thing that comes through in the book is how caring and supportive in general Cynthia was as a person. She has an especially close and loving relationship with Julian and everything she did to support him and make sure he became a fine grown man are testament to what kind of person she was. The book ended with a somewhat chilling admission that, while she never regrets having her son, had she known in 1958 what falling for John Lennon would do to her life, she would go back, turn around, and walk away from him. This is one of those books that will make you see John in a much less flattering light, especially if you held him in high regard beforehand. I've always been someone who admired his music and much of his life, but also knew about his many flaws and how poorly he could treat people. For me, it didn't change my opinion of him as much as it simply confirmed how I felt about his failings and shortcomings. As Cynthia rightly pointed out, he was a brilliantly creative genius who was also incredibly complex and flawed. The overall tone of the book is somewhat bleak and downcast, but given John's treatment of her and how much of a struggle her life was after their marriage broke up, it's quite understandable. If you hero-worship John Lennon, then this probably isn't the book for you, but if you've got a more balanced and realistic view of the man, this book (despite its few flaws) will give you a fairly accurate portrait of the man from the woman who was by his side for the most famous decade of his life. We're just about through the winter, the erratic weather of the last few weeks not withstanding, and as with every year that means one thing (at least to me): baseball is coming back! Ever since I was a little kid, the warming weather, the melting snow (except for this winter, when we didn't get any), and the longer days always get me excited for the upcoming season. It's as much a yearly ritual as the trees budding, the grass turning green again, and putting away the winter coats, hats, and boots. As soon as possible, I like to get outside with my kids and start playing catch or throwing them batting practice. Add in MLB Spring Training starting in mid-February and Opening Day getting closer with each day and the excitement is palpable. As far as my team goes, I've got high hopes for this upcoming Red Sox season. While the loss of David Ortiz to retirement will leave a huge void to fill, the acquisition of Chris Sale should beef up the starting rotation while Andrew Benintendi looks like he'll follow up his stellar rookie campaign with an even better season now that he's be the full-time left fielder. The trio young All-Stars who form the core of the team (Mookie Betts, Jackie Bradley, and Xander Bogaerts) should be just as good (if not better) while the veterans like Dustin Pedroia and Hanley Ramirez should remain productive (and hopefully, healthy). I have very low expectations for Pablo Sandoval...anything the Sox get out of him this season is gravy (no pun intended) and honestly, if he plays well I'd hope they sell high and trade him while they can. Beyond that, I'm most interested to see if this is the season where John Farrell finally figures out how to make in-game adjustments and helps the team win games rather than he usual pattern of snatching defeat from the jaws of victory. As with every spring, the promise of the new season makes fans of every team optimistic. Usually by June, you know who your team is and whether they have a shot at the World Series, but that's why it's so fun. Every season brings renewed hope and for baseball fans, that's one of the great things about the game...it's as reliable and constant as the seasons themselves. If you're a baseball fan, who will you be rooting for and how do you think they'll do? Let's discuss in the comments below! It's finally time for another entry in my series of band/artist profiles. For those of you who are new, this is a series of articles where I discuss my favorite bands or solo artists by discussing their background, career, ways in which they've influenced me, and my favorite musical moments of theirs. For this newest entry, I'm using a previous profile on one of my favorite bands of all time, Blur, and using it as a springboard to now focus on their superbly talented guitarist Graham Coxon. While Graham has long been championed as one of the great British guitarists of his (or any) generation, he also has had an acclaimed solo career comprising eight solo albums to date. Because of this, the time is now right to focus solely on Graham and his work both within and outside of Blur. Since I've already written a profile of Blur, I'm not going to rehash it here. 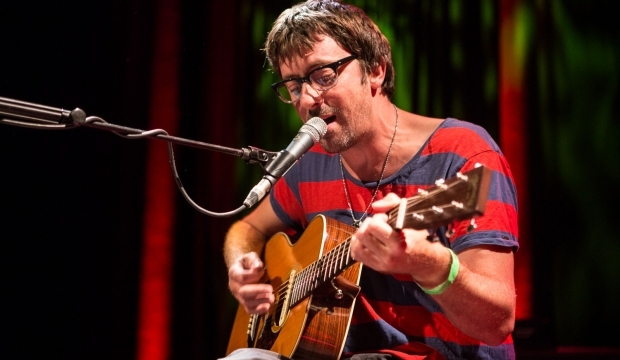 To recap, Graham Coxon was born in in 1969 on a British Army base in Germany where his father was stationed. When he was a child his family moved back to England and settled in Colchester, Essex. It was while attending Stanway Comprehensive School that he met Damon Albarn when he was 11. Famously being the brunt of Damon's comment about his shoes ("your brogues are crap, mate...here, mine are the proper sort! "), the two bonded over a shared love of music. In particular, they both loved the Beatles, Who, and Kinks as well as the punk and Two-Tone ska music popular in the UK during the late 1970s/early 1980s. Having switched from saxophone and drums to guitar while a teenager, Graham enrolled in an art course at Goldsmiths College in London where he met bass player Alex James. Bringing Damon as well as drummer from Colchester named Dave Rowntree who he'd been in bands with into the fold, the four young men formed Blur and the rest, as they say, is history. While in Blur, Graham began recording and releasing solo albums, the first arriving in 1998 and called The Sky is Too High. A charming, ramshackle affair, it continued the low-fi ethic Blur incorporated on their hugely successful 1997 self-titled album. The difference this time was that all of the songs were written, sung, and played by Graham, who covered all of the instruments himself (apart from keyboards). Also, his acoustic guitar playing was more center stage than it typically was in Blur, where Damon usually handled these duties. This album was followed by two more: The Golden D (2000) and Crow Sit on Blood Tree (2001). Both continued the rough-around-the-edges ethos of his debut while growing increasingly dark and aggressive in tone and subject matter; it was quite a contrast to the normally gentle and quiet Coxon. In 2002, Graham had a falling out with the other members of Blur and was sacked from the band. Coincidentally or not, his ouster ran parallel with his ascension as a solo artist and he released a series of excellent albums that were accompanied by solo tours. The Kiss of Morning in 2002 was followed by a trio of albums reuniting Graham with Blur's producer Stephen Street. These three albums are arguably his best, and include Happiness in Magazines (2004), Love Travels at Illegal Speeds (2006), and my personal favorite The Spinning Top (2009). It was also in 2009 that Graham reunited with Blur, and because Blur has taken up the bulk of his time since then, he's only released one further album. However, 2012's A+E shows that he's still able to take his music in new and interesting directions, heavily incorporating drum machines and synthesizers and blending them with his gloriously loud and fuzzy guitars. One of the things that makes Graham such a great and admired guitarist by fans and peers alike is how unique his sound and style are. While he uses a variety of guitars, his main axe has long been a butterscotch blonde '52 Fender Telecaster run through his typical amp rig of Marshall stacks patched through a Marshall PowerBrake. His guitar signal is routed through his collection of stompboxes in order to round out his sonic palette. Stylistically, while he has the chops to shred with the best of them, he doesn't typically play like that. Instead, he utilizes a lot of hammer-ons, pull-offs, chordal arpeggios, and interesting (and often discordant and dissonant) chord voicings. While he's fully capable of such, his solos aren't your typical speed-fests of notes, but rather orchestrated licks, sustained notes, and dissonance which often rub a bit raw against the melodic backing, but always seem to work perfectly in their context. In addition to his fantastic instrumental skills, Coxon is also a master at manipulating his guitars, amplifiers, feedback, and (especially) his effects pedals in order to create entirely new sounds that push his playing over the top. Even more impressive is his ability to seamlessly recreate all of the crazy sounds that he gets in the studio live on stage. Some of my favorite guitar work of his is below...this is but of a small sampling of his fantastic studio work with Blur. As you can hear, no two songs sound the same when it comes to Graham's approach to creating and playing his guitar parts, yet all of them are instantly recognizable as him. I could've given another twenty (or more) examples of his greatness, but I think the examples above should suffice in giving an idea of what makes his playing so special. For me personally, from the moment I first heard Graham's playing twenty years ago to this very day, he's taught me that exceptional technique can be melded with a unique personal vision in order to create a sound that may run counter to traditional playing, but can none the less be appreciated and admired. He's also pushed me out of my comfort zone and taught me to take more risks in my playing and the way I approach writing songs and guitar parts. I certainly don't claim to be nearly on Graham's level when it comes to his approach, but it's definitely been a useful and effective feather in my musical quiver. There's a reason that critics and peers alike (including one-time rival Noel Gallagher) have called him one of the finest guitarists of his generation. 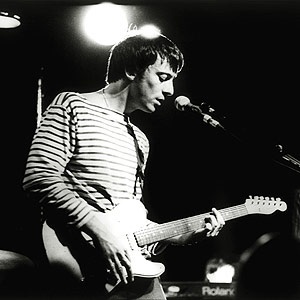 As with all of the trailblazing guitarists who came before him, Graham Coxon took his innate talent and worked tirelessly at creating a style and sound that is all his own, always unique and instantly recognizable. Ask any musician and I'll bet that they'll tell you that this end result would be their ultimate fulfillment. Graham has done this and then some. As originally booked, I was supposed to fly out of Harrisburg, PA at 2:30pm and arrive in Washington, D.C. around 3:30pm. Then, I was to catch a flight in D.C. at 5:15pm that would land me in Indianapolis at 7pm. After picking up my bag and rental car, I would've gotten to my hotel around 8pm at the latest. A good night's sleep and I would be fresh and ready for my interview the next morning. What's that saying about the best laid plans of mice and men...? I got to the airport in Harrisburg in plenty of time...I parked my car, checked my bag, went through security, and got to the gate by ~1:30pm. Plenty of time, right? However, my flight to D.C. got delayed 20 minutes. Okay, I thought, no big deal. Then it was delayed another 20 minutes, and then another. It started to look like it would be tight making my flight to Indy but I still wasn't that worried. In the meantime, I felt a tap on my shoulder and turned to find my former boss (with whom I'm still on good terms)...he happened to be on the same flight to D.C. and was waiting at the gate. We started chatting and when the flight got delayed again, we decided to go talk to the gate agent. After checking on the computer, she told me there wasn't another flight from D.C. to Indy until tomorrow morning. I told her that was no good because I absolutely HAD to get there for my interview the following morning. She said "then I'd suggest driving to D.C. to make it." Can you believe that? I suppose given the sorry state of air travel these days that I shouldn't be surprised, but it still blows my mind that the best she could do was tell me to start driving. My former boss said he'd drive me because his flight in D.C. was a bit later and he couldn't afford any more delays either. While we were discussing this, two fellows in line behind us chimed in and we started chatting with them. They were in the same boat: one was heading home to Indy and the other was trying to get home to Denver. We asked if they wanted a ride and they said sure, so we all went and had the airline take our checked bags off the plane, piled into my former boss' car, and we hit the road for Dulles. By this point it was 2:45pm and it's typically a ~2 hour drive to Dulles...it was going be tight. Miraculously the traffic was very light and we were dropped off at the terminal by 4:35pm! The fellow heading to Denver didn't have a checked bag so he ran to make his 5:20pm flight. The other fellow was in the National Guard, had spent the last six weeks training at the fort here in PA, and was on his way back home to Indy. We got to the ticket counter and tried to check our bags. The airline wouldn't let us because it was less than 45 minutes before departure (which is their policy). I explained that I absolutely HAD to get to Indy that night and that I needed to get on that plane but she wouldn't budge. I asked if there was a later flight to Indy on another airline...no luck on both. The other fellow had managed to have the airline book him a hotel room and get him on the first flight to Indy in the morning. The best they could do for me was a 10pm flight to Columbus, Ohio. I'd then have to rent a car and drive three hours to Indy. Having no choice, I took it. Hearing this, the fellow asked if he could ride with me as he'd rather get home that night. I said sure, so he changed to the same flight. We had five hours to kill so in return for me driving him, he bought dinner and beers which I thought was a fair trade. After dinner we had over three hours to kill before the flight. I called to change my rental car pickup to Columbus and to let my hotel know I'd be checking in late. At this point I was exhausted and still had a 90 minute flight and a three hour drive ahead of me. Before the flight took off, the hotel called me back and said they were overbooked and that they'd given my room away. I could not believe it...what else could possibly go wrong?! Thankfully, they then told me they had booked me a room at a much nicer (and more expensive) hotel and paid for it, so it ended up being free for me. It was the one thing that had gone my way all day. We got on the plane around 10pm, flew to Columbus, and were greeted by icy roads and frigid temps. By the time we got the rental car and our bags, it was 11:35pm, and it was slow going on the highway because of the ice. Eventually as we got further west toward Indiana, the roads cleared and I drove faster. We had a good long chat (he was a very nice guy), and when we got close to his exit near Indianapolis, he called his dad to meet us at a 24-hour White Castle. was at 9am the next morning but I was so overtired it took me a while to fall asleep. I eked out as much sleep as I could, skipping breakfast to squeeze in as much rest as possible. When I woke up my limbs and head felt so heavy I could barely move. I had bags under my eyes that made me look like Uncle Fester. All I had time for was a quick shower, getting dressed in my suit and tie, a quick pack of my bag, and down to check out and head over to the company. A Red Bull on the way to pep me up and that was how I faced my interview. All things considered, I think it went very well. Thankfully, my travel home the next day was uneventful and I now have a story worthy of Planes, Trains, and Automobiles that I can look back on and laugh about. So there you have it, my adventure! In retrospect, it was a real comedy of errors but at the time, it wasn't quite so funny! Do you have any travel disaster stories? If so, please share them in the comments below as I'd love to hear them and commiserate with you! I've always believed that the 1990s are second only to the 1960s as rock music's greatest decade. I'm sure some of you will accuse me of feeling this way because I grew up during the decade and these were my prime formative years, at least in terms of music since I was 10 when the 90s began and 19 when they ended. In my opinion, the 1990s were a great decade for a variety of reasons, mainly because it was the only decade other than the 1960s where there was a vibrant, exciting, and quality scene on both sides of the Atlantic at the same time. Between the alternative rock scene in the US and the indie/BritPop scene in the UK, bands were once again writing and recording music that captured the spirit of the times and pushing boundaries in the studio and on stage in a way that sadly hasn't been done since 2000 or so. It was the last decade when rock and instrument-based music was dominant, before rap, pop, and programmed music written by teams of songwriters became the industry norm. 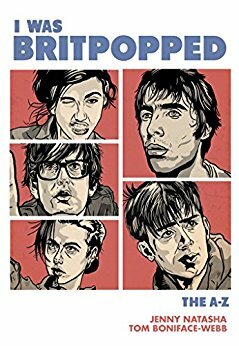 In the new book I Was BritPopped: The A-Z of BritPop, authors Jenny Natasha and Tom Boniface-Webb have presented the decade in British music in the form of an alphabetical guide to the bands, albums, singles, TV shows, and fashions that defined Cool Britannia and the entire movement. As explained in the book's introduction, I Was BritPoppped was designed to not only be read front to back, but to be used as a reference where entries can be immediately turned to when information is needed. The book doesn't cover the entire decade, but rather the core years of ~1992-1998 which corresponds with the movement's birth, peak, and decline. Understandably, the bulk of the book is dominated by the giants of BritPop: Blur, Suede, Pulp, Elastica, and Oasis. The numerous quality second and third tier bands like the Bluetones, Mansun, the Verve, Ocean Colour Scene, Supergrass, and more are well represented, while loads of one-hit wonders and bands at the margins of BritPop who did little more than cash in and ride the wave for a fleeting taste of fame round it out. I have to say that the breadth of what the authors covered was impressive, as I've always considered myself quite knowledgeable about the movement (especially for an American) yet there were plenty of lesser bands I'd never heard of. Overall, this was an enjoyable book and a nice way to stimulate memories of the music from that era, much of which I still regularly listen to while a lot is stuff I haven't heard in years. By focusing on only the most relevant artists and releases and limiting the singles to those that were either culturally significant or charted in the Top 20, the authors prevent the book from getting too long and unwieldy. However, there were some problems I did have with the book. These mainly had to do with numerous typos and printing errors found throughout. The writing style could have been cleaned up and the flow and syntax improved. It simply seems that an additional edit of the entire book was in order. Finally, there were some glaring factual errors that irritated me a bit, the two biggest being when the book stated that Suede keyboardist Neil Codling is singer Brett Anderson's cousin (he's drummer Simon Gilbert's cousin), and that the Rolls-Royce in the swimming pool on the cover of Oasis' Be Here Now album is a tribute to Keith Moon because that's how he died (he actually died from an overdose of anti-alcoholism pills while sleeping in his apartment). Little details like these might not matter to casual readers who may be unaware, but for an obsessive (and some might say excessively so) music fan such as myself, these stuck out like a sore thumb. There also were just too many of the marginal/worthless bands who did little more than latch on to BritPop for a bit of fame at the expense of some more entries from the titans of the genre. In particular, while I understand why the authors wanted to keep the book confined to the core years of the scene, I do wish they'd made some exceptions for the heavyweights like Blur, Suede, Oasis, etc and discussed the albums they made both prior to (if applicable) and after (ditto) the movement ended in order to shed some light on how these bands adapted (or didn't) once the music had moved on. However, besides these criticisms, this is a fun book and well worth the read for anyone around my age who lived through those years, loved the music that came out of the UK in the 1990s, and still carries the flag for BritPop two decades after the movement peaked. It's good for an initial front to back reading before settling in as a fun reference book for future use. Once Again, the New England Patriots are Champions! As you all know, I've been a massive fan of the Boston sports teams for my entire life. Having been born in Massachusetts and spending my entire life in New Hampshire from the age of 3 until I moved to Pennsylvania two years ago, it's in my blood. The Red Sox, Celtics, Patriots, and Bruins have been my favorite teams since before I can remember and I'll support them until the day I die. I'm 37 years old and for the first 21 years of my life, I hadn't seen much greatness from my teams. Apart from the Celtics, who were one of the dominant NBA teams of the 1980s and won 3 titles in 5 Finals appearances during my childhood, the rest of the teams only gave us heartache. The Red Sox lost the 1986 World Series in crushing fashion, a collapse so bad that even despite the three titles they've won since 2004 I'm still scarred. The Bruins lost in their two Stanley Cup Finals appearances in 1988 and 1990, and the Patriots...let me just say that for anyone under 30, you have no idea how bad the Patriots used to be. They were the laughing stock of the NFL and apart from a Cinderella run to the Super Bowl in 1986 (where they promptly got crushed by the historically great '85 Chicago Bears), being a Patriots fan meant cheering on a perennially losing organization. The low point was when they came a hair's breadth from moving to St. Louis before Robert Kraft stepped in, bought the team, and started to invest money in the team, players, and coaching staff. Still, we cheered for them. 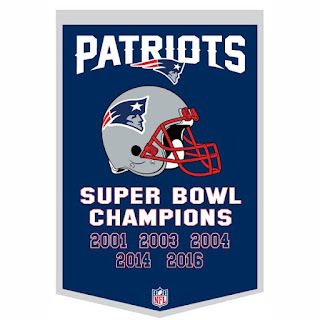 Because of this, the past sixteen years of dominance have been especially sweet, but I think the Pats may have topped all of the great moments of the past with their recent victory in Super Bowl LI last week. Going back two years ago, I wrote that their victory over the Seahawks was the greatest game I'd ever seen. 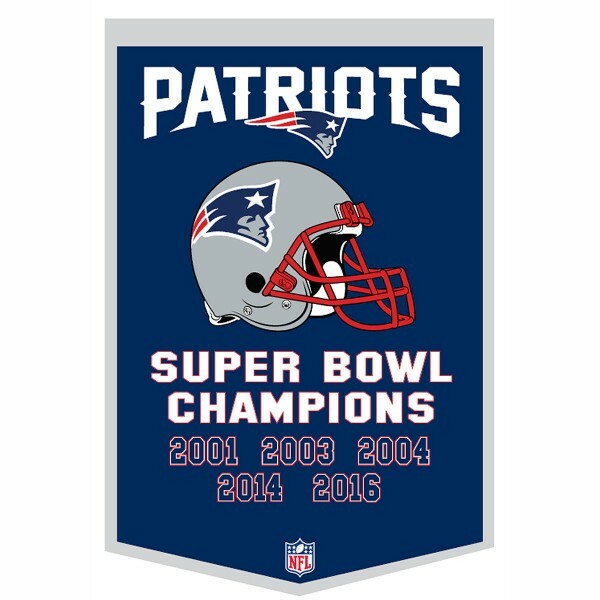 I still think it was one of the best games I've ever seen, but at least right now the latest championship won by the Patriots takes the cake. After they trailed 21-0 to the Falcons in the second quarter, I didn't see how they could possibly win. The nadir was when the score was 28-3 midway through the third quarter...surely the team with the best record during the regular season couldn't go out like this, even to a supremely talented team like the Falcons? My only wish at that point was for them to score a few times to at least make it less of a blowout, but then they began to chip away at the lead little by little, their defense turned up the heat, and suddenly it was a game! I won't bore anyone with the details because if you watched the game, you don't need me to recap it, but when the Patriots completed the comeback to tie the game with less than a minute to go, it just felt like they had 100% of the momentum and that there was no way they'd lose the game. As soon as they got the ball in overtime, I knew it was over and they didn't prove me wrong with their historic 34-28 victory, completing the biggest comeback in Super Bowl history (a record they previously set two years before). As sweet as the game was for myriad reasons (including sticking it to Roger Goodell and the NFL), it was extra satisfying because with Julian Edelman's incredible catch late in the fourth quarter, we finally had a freaky fluke catch go our way after being on the wrong end of them in our previous three Super Bowl appearances. (Two of these completely flukey catches are the only reason the Patriots have five championships and not seven). The other cool thing was that after the game, a lot of my friends who are non-Patriots fans (or even Patriots haters) texted me to congratulate me on the game, and when I wore my Pats hat out and about in the days following, fellow Pats fans and even fans of other teams stopped me to talk about the game. That's one of my favorite things about sports, their ability to bring people together to talk and enjoy them even if they root for different teams (of course, this aspect can also lead to petty disagreements and trolling behavior on the internet, but let's just focus on the positive here). I know that as a Boston sports fan, I've been spoiled over the last twenty years and that our teams and our fans are hated by most of the rest of the country, but I make no apologies. I've been following these teams my entire life and intend to do so until I die. With that in mind the Patriots latest Super Bowl victory is something I'll never forget. This run of success, spearheaded by Bill Belichick and Tom Brady, is something I'll likely not see again in my lifetime, so I plan to savor every moment of it. These are the kind of times any sports fan wishes for their team, and I and the rest of Patriots Nation happen to be fortunate enough to have witnessed this from 2001 to the present. Like I keep telling my kids (all of them Patriots fans as well...was there ever a doubt? ), enjoy this because it's not normal for a team to be this good for this long. I know I will, and the Patriots winning their fifth title in Super Bowl LI is the latest in a long line of sports memories I'll always remember.